Breakstone, White & Gluck was pleased to donate 140 bicycle helmets to children in Easthampton yesterday, with help from many hands in the community who care about bicycle safety. 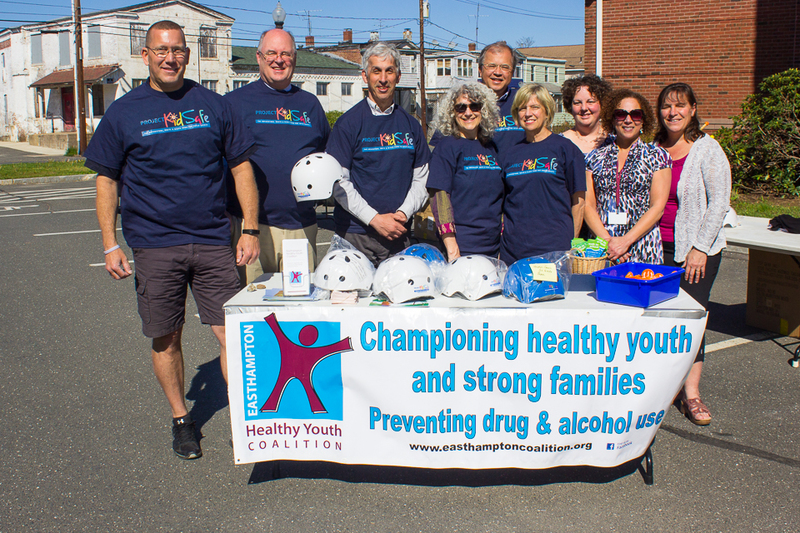 We donated the helmets through our Project KidSafe campaign at an “Event to Celebrate Bike Safety in Easthampton,” organized by the Easthampton Healthy Youth Coalition, the Easthampton Public Schools, the Easthampton Police Department and Northwest District Attorney David E. Sullivan’s office. Photo: School Resource Officer Alan Schadel; Northwestern District Attorney David E. Sullivan; Stephen Linsky and Ruth Ever of the Easthampton Healthy Youth Coalition; Attorney David W. White of Breakstone, White & Gluck and from the schools, Nancy Follansbee, Superintendent of Easthampton Schools; Judy Averill; Maple School Principal, Allison Rebello, Principal of Center and Pepin elementary schools; Andrea McCallum, Assistant Principal at Center Elementary School.